Heavy images of ax attack that happened a few days ago in Germany are published , where the protagonist was a Kosovo Albanian. Fatmir H.
He attacked and injured nine people at a train station in Dusseldorf. Klan Kosova has provided some semblance of Fatmir H. attack., for whom police and law enforcement authorities in Germany said the attack had not been driven by any particular ideology, but the fact that he suffered from mental health problems. The aggresor who happily killet nobady declared to law enforcement authorities after being arrested that he wanted to be shot by the police. 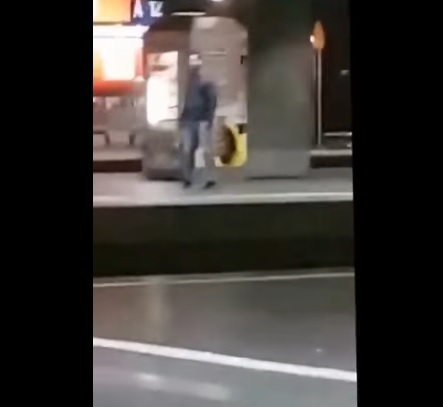 At the time when the attack occurred, except some images there is not any full video to show the aggression of the Kosovo citizen living in Germany.